The Garden City of India, Bangalore, is famous for its pleasant weather throughout the year. It offers the perfect canvas to paint all things dreamy and has emerged as a hub for various wedding functions, big or small. The city has some beautiful venues for your wedding celebrations. Plus, its international feel and cosmopolitan appeal make it a great wedding destination. If you are planning a wedding here, then the city is well-equipped to fascinate you with treasured memories. Check out our top 10 banquet venues in Bangalore that offer finest banqueting facilities to make your event a success. The Solitaire hotel is one of the most sought-after marriage halls in Bangalore located in the heart of the city and has multiple banquet halls for hosting intimate pre-wedding events, reception parties and other medium-sized functions. The unique thing about these banquet halls lie in their name - all of them are named after exquisite gemstones. All the banquet halls are spacious and designed with world-class amenities. They have a maximum floating capacity of 400 guests. Whitefield Banquets is spread across an area of 35,000 sq.ft. This marriage hall in Bangalore has a maximum floating capacity of 3000 guests. Both the banquet areas are illuminated with lights and chandeliers, making any event grand and unique. To ensure that your wedding day is memorable, this venue offers state-of-the-art amenities for your convenience. Jayanagar is a well-known area in Bangalore and Star Banquets is equally famous for the services they provide. The venue is ideal to host medium-sized pre-wedding and post-wedding functions as it offers a maximum floating capacity of 500 guests. The lighting in the banquet hall with stunning chandeliers and other colour lights add a scintillating effect to any wedding function held here. On weekends, full day rental is Rs. 1, 50,000 and half day rental is Rs. 90,000. On weekdays, full day rental is Rs. 1, 50,000 and half day rental is Rs. 70,000. Aranya Banquet Hall in HSR Layout is a multipurpose banquet hall suitable for wedding functions. Ideal for intimate wedding affairs; it is loaded with the latest amenities and also known for its hospitality. The hall is perfect for small, private engagement ceremonies and other pre-wedding functions; whereas, the beautiful terrace area is suitable for cocktail parties. If a splendid space is what you need for your wedding day, why not choose the spectacular JW Marriott Hotel, Bangalore!. The wedding venue has great overall architecture with modern facilities and remarkable customer service. Have a theme or a wedding decor in your mind? How about hiring the professional decor team at the JW Marriott and leaving the decor up to them? With a maximum seating capacity of 450 guests, it is perfect to host a medium-sized wedding gathering - be it a sangeet, mehendi or a reception party. With an area of 3,400 sq.ft, the Tangerine Grand banquet hall is well-equipped with modern amenities like high-speed Wifi, surround sound systems and DVD players. Venue Price: Rs. 60,000 approx. This is another precious gem from the Citrus Group of Hotels, which is best known for their best of services. Their beautifully-designed and well-lit Citron banquet hall can easily accommodate 120-300 guests, which makes it ideal to host pre-wedding functions. Equipped with all modern amenities, the venue also has a terrace area for hosting Jaymala and other wedding functions. Gayathri Vihar at Palace Ground is one of the biggest and most luxurious wedding halls in the Garden City. 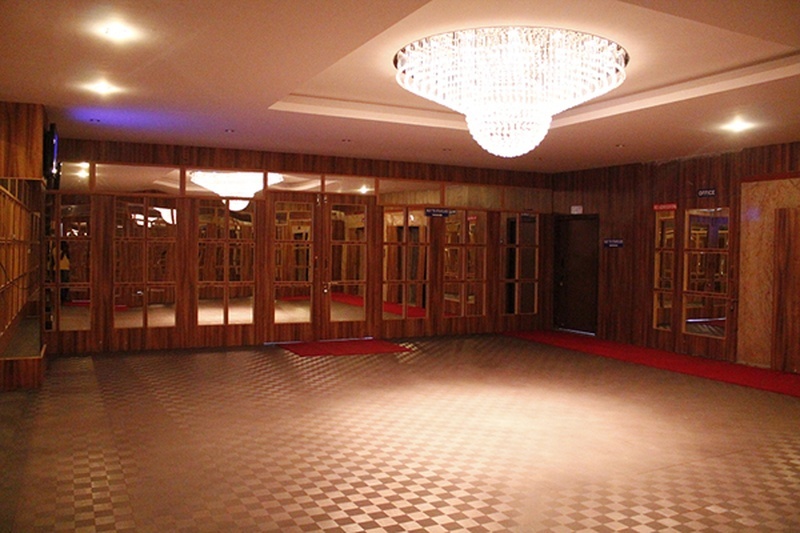 The venue has two banquet halls, namely the Big Royal and the Mini Hall. The Big Royal is enormous with a maximum seating capacity of around 10,000 guests. So, you don’t have to worry about planning a big fat Indian wedding as this place is guaranteed to transform your ideas into reality. The guests can book these functional areas as they are a perfect blend of convenience and luxury. Jayamahal Palace is one of the finest heritage and palace hotels in Bangalore. Using ‘white’ as its defining colour, the banquet hall offers contemporary luxury options and yet keeps the traditional style intact. The colonial architecture is pretty evident in the designing of the banquet hall. The hotel has become a landmark in itself and offers state-of-the-art facilities. Located at the Palace Grounds, a prominent locality in Bangalore, Princess Shrine has a voluminous banquet hall that can seat a maximum of 5,250 guests. This makes it an ideal venue to host various wedding functions, from engagement ceremony, sangeet, jaymala to the reception party. If you’ve been looking for a banquet hall that’s huge and can accommodate all of your family and friends, then this is where your search ends.